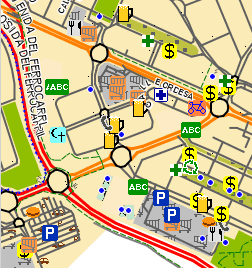 If you don't find the map you need at downloads page, you can collaborate to support the addition of the map by making a donation, to collect the necessary amount of money. Don't forget to specify the map you want to support when making your donation, or send me a mail telling the country. Once the target amount (35 €) is reached I compromise on making the map available in a maximun of one week and keep it updated. Up to date, maps on the following table have been requested. Maps that have received some donation are marked in bold and maps already available in green. (*) USA map is already available for registered users. You can support maps of individual States of the USA (Florida, Nevada, etc. ).